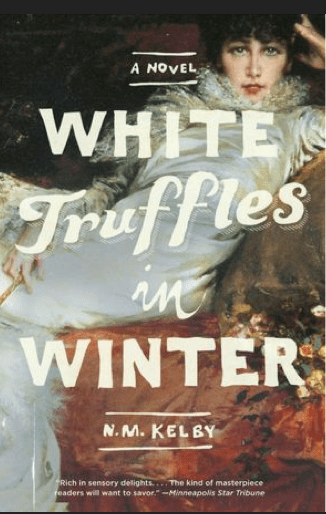 Featured book: WHITE TRUFFLES IN WINTER by N. M. Kelby is an historical novel filled with kitchen intrigue. Whet your appetite while reading about the origins of some familiar recipes credited to Chef Escoffier and get into the historical kitchen and the chefs’ motivation as the recipes are being created. IMPORTANT NOTE: Included in the cost is a glass of wine and small tastes of items referenced in the books. Please bring cash for anything other than what was noted to be included. If you wish to stay for a Dutch Treat dinner following the discussion, you should indicate so when you purchase your ticket. There will be a question on Brown Paper Tickets to facilitate that. To reserve by credit card, follow link to registration site. I am so excited about this group! I read a lot of literature based on food, eating and all things consumable! I look forward to talking about with others. just ordered a copy of the book! so excited.